Before you even make it to the entrance you find yourself surrounded by folks, young and old, who look as if they have just walked through the wardrobe and straight into Narnia. You are greeted with “Good Morrow!” and “How now?” And as you enter the gates the world seems to transform right before you. 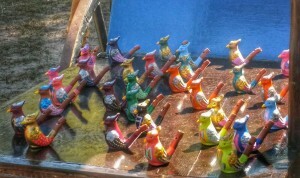 In addition to the Artisan shops that are filled with fabulous costumes, sterling silver jewelry and unique decorative items, you will also find musical instruments that you can not help but try. 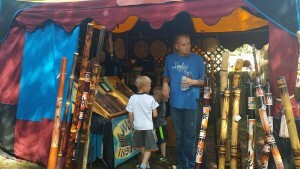 Walking by the beautiful tents we noticed a wide selection of didgeridoos that we were encouraged to try out. If you have never tried playing the didgeridoo, here’s a tip: LOOSE LIPS. The most precious little musical piece we found was actually a sort of bird caller that played the most lovely little chirping noise. All the kiddos were begging to take home this special trinket. Speaking of the kids, we found a ton of great activities for children of all ages. There was a large variety of games and rides that range in prices from $2-$8. 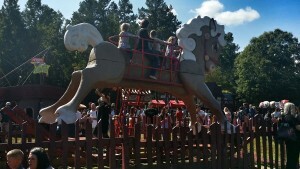 Most noticeable was the GIANT rocking horse, also known as the “Piccolo Pony.” But rides are not the only thing for the kids. In our opinion, they aren’t even the best. 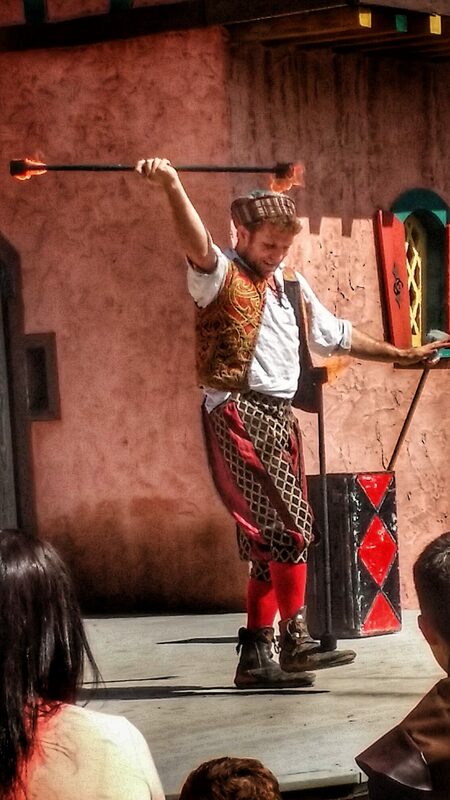 The best part of the Carolina Renaissance Festival are the performances. Many of these performers have a theater or circus background and they are incredibly entertaining. 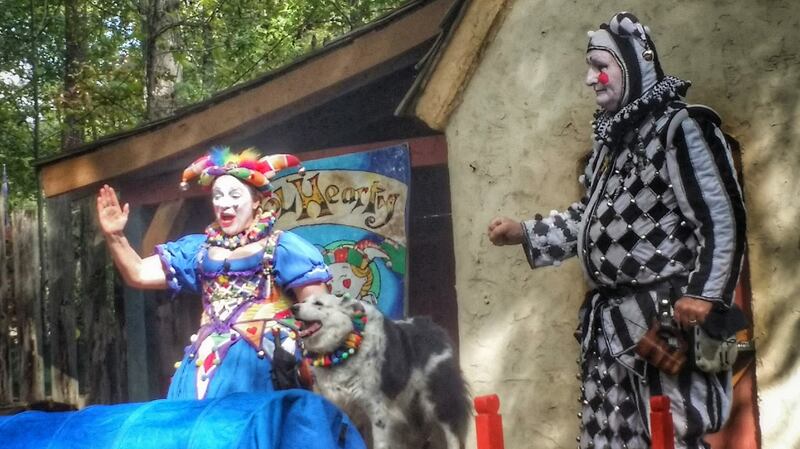 For the littlest in your group we suggest heading down to the Dutch Door Stage for a light hearted “Untrained Dog Show” by the husband and wife clown team, Fool Hearty. This pair is cute as can be and their team of Border Collies is sure to bring a smile to your face! 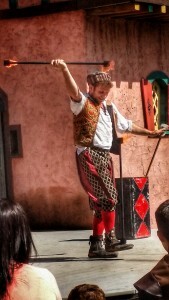 For the kiddo who i s dying to get on stage, you HAVE to check out Gypsy Geoff and his Fire Circus Show! This one is very interactive and includes the perfect amount of comedy. Here’s a tip: Get there early so you are in on the joke! 😉 You’ll see what we mean. Now, speaking of comedy, Thom Selectomy (notice the play on words) is the funniest sword swallower we have had the pleasure of meeting. This show was just gross and dangerous enough that my little boy could not look away, while simultaneously being humorous enough to keep me laughing through the whole bit. This one has a lot of adult humor, but fortunately it all seemed to breeze right over my seven year old’s head. One thing to note about all of these performers is that they do work for tips, so be sure and bring whatever you might be able to spare, even if it’s only a few coins. Bring a camera because there are a ton of fun photo opportunities for everyone in the group! 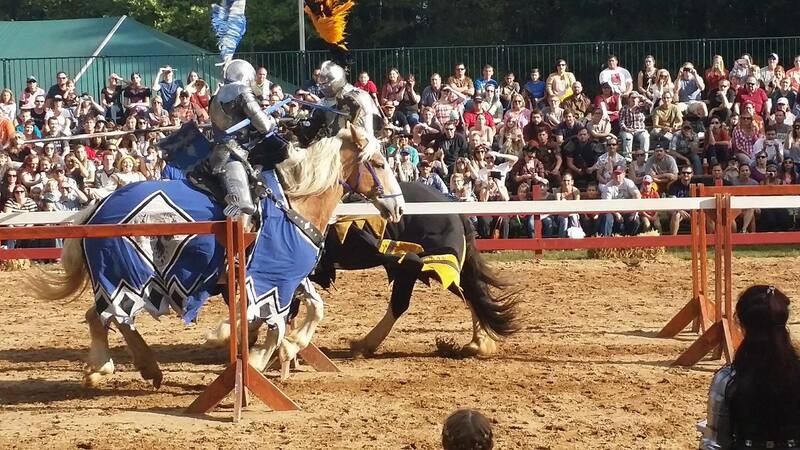 And be sure and plan your entire trip around the 3 Jousting tournaments held throughout the day. The final event is held every day at 4:15 and features a Joust the Death! This one does feature some sword fighting and fake blood so be prepared. Now, our FINAL tips of the day is about the FOOD. 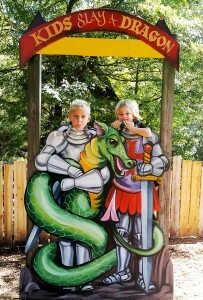 OH RenFest food is some of the best there is! Do not leave without trying the melt in your mouth fudge, the italian gelato, or the TURKEY LEGS!! And be sure and grab a glass of Mead or Craft beer to wash it all down. 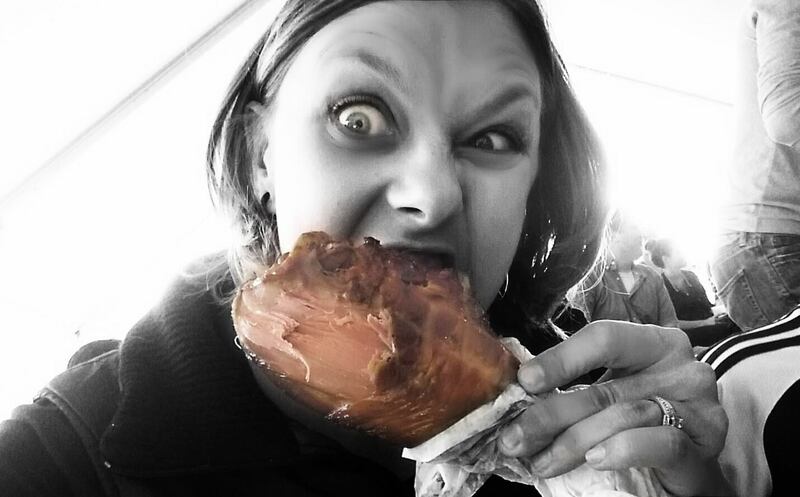 In case you aren’t sure how to eat a turkey leg, there’s really only one way… HUZZAH! Previous PostNorth Carolina Writers Network meets in Kannapolis Oct. 28Next PostCome on out to the Kaleidoscope Cultural Arts Festival from 12 p.m. to 4 p.m. Saturday, Oct. 24 on West Avenue in downtown Kannapolis and enjoy vendors dressed up and passing out candy in anticipation of Halloween! We are asking all vendors to dress up and have candy at their booths for a street festival candy crawl for kids. 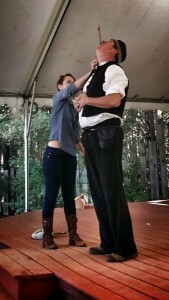 We are also encouraging patrons to come out in costume! halloween Kaleidoscope Cultural Arts Festival brings arts and culture to downtown Kannapolis all along West Avenue with dancers, musicians, painters, authors, pottery makers, craft makers, poets, clowns, jugglers artists and more in a fun, family friendly street festival. The festival is FREE to the public and is free for artists/performers to set up at but the must register at mknox@modernfilmzine.com for a space to receive their confirmation number to set up. Also, for this Kaleidoscope festival we want EVERYONE to dress up in COSTUME and make sure to bring CANDY because we want to celebrate Halloween early with a costumed candy crawl.